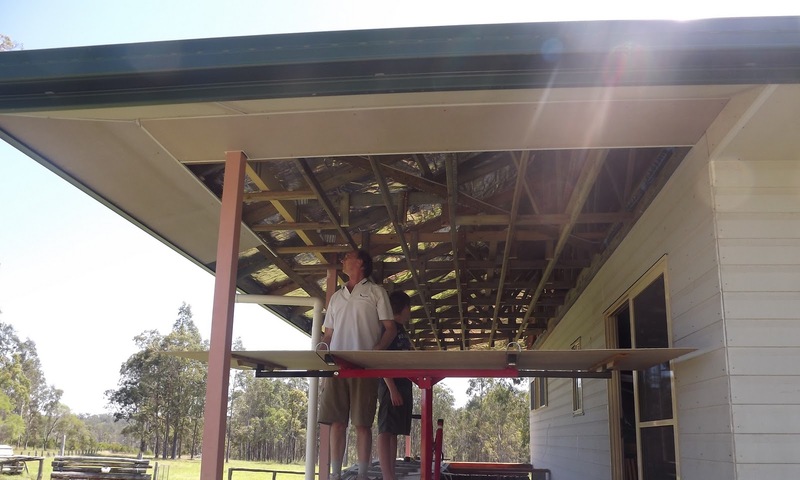 Never one to choose ease and speed over the final result, when we decided to ‘lift’ the eave height on the side verandah, PC set about suspending the ceiling battens from the trusses. The next step was for the front eave to meet with the side eave. A little difficult to see but the edge pieces are on a slight angle. Once the edge pieces were in place, with the aid of his faithful helper, Einstein (and our gyprock lifter) PC began sheeting the length. They settled into a groove and the pace proceeded steadily. Slowing down to attach the side pieces as they moved along. Hammering sheets over the whole weekend, PC’s neck was very sore by the end. 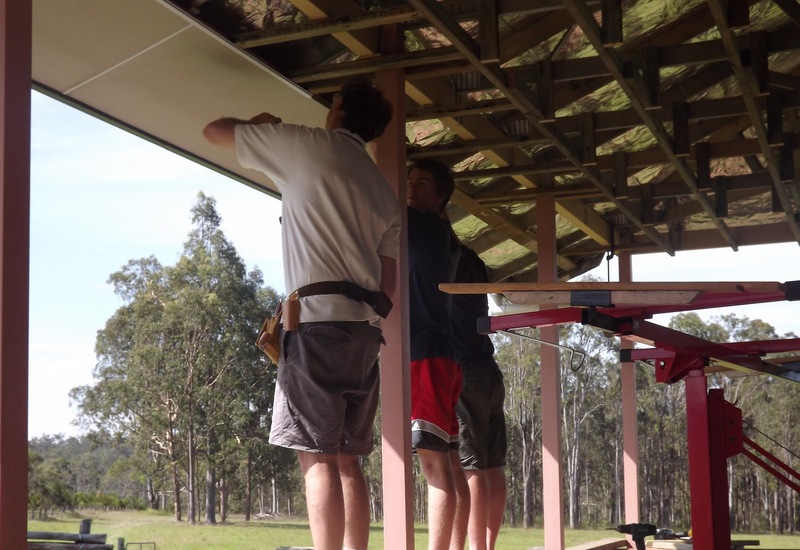 Looking closely you can see the height difference between the front and side eave. The result is a streamlined finish without losing height spaciousness. With the eaves now completed we are looking forward to sitting on the verandah, when the decking is laid. Great to see the progress, there always something new happening. We seem to be on a roll at present. Just done up our new job list and we'll be busy into next year. Trying to work to priorities, which to choose; verandah, bathroom or electricity? Trouble is they all effect the other. Thanks:) Getting there, estimating electricity by March. Only by dreaming do things happen.